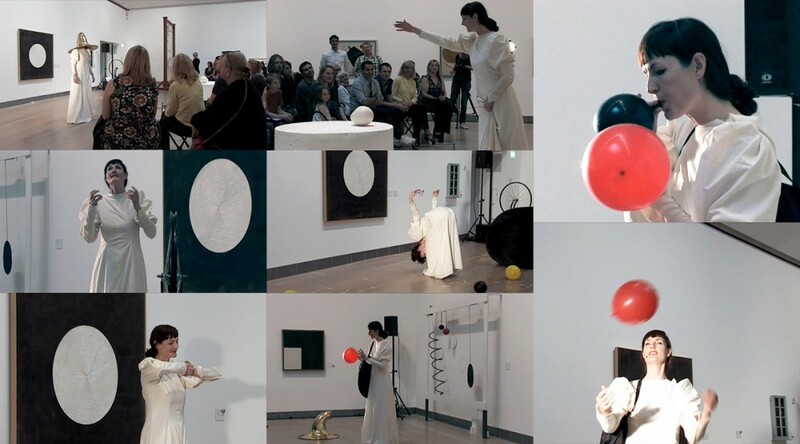 The Modern museum of Art in Stockholm invites Charlottes Engelkes to perform in front chosen objects of the museums collection of art. -I feel related to the circus that Alexander Calder created, his mobiles and relationship to space. The spiritual mission and cosmic knowledge that Hilma af Klint was a medium to fascinate me. And my music is Marcel Duchamp. -The basis of everything for me is the universe. The simplest forms in the universe are the sphere and the circle. I represent them by disks and then I vary them. My whole theory about art is the disparity that exists between form, masses and movement.